The SASPoM provides the framework for WaterNSW and NPWS to manage the Special Areas. 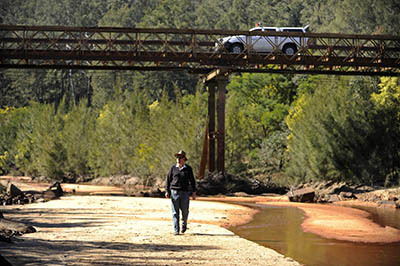 WaterNSW and the NSW National Parks and Wildlife Service (NPWS) jointly manage the Special Areas guided by the Special Areas Strategic Plan of Management. WaterNSW has responsibility for the quality and quantity of water in catchment areas. NPWS is the primary conservation agency in NSW and is the landowner of reserves within some of the Special Areas. Collaborative partnerships with local councils, indigenous land councils, landholders, government agencies, industry and the community are important to management of the Special Areas. The Special Areas Strategic Plan of Management (SASPoM) is available for download below and applies to all Special Areas but not to privately owned land within Special Areas. The plan replaces the Special Areas Strategic Plan of Management 2007 and incorporates the former Wingecarribee Swamp Strategic Plan of Management. The SASPoM provides the strategic framework for shared planning and delivery of land management activities within the Special Areas by WaterNSW and NPWS. It is a long-term plan to secure high quality water for the storages and ensure ecosystem integrity of the Special Areas. This strategic plan provides a framework for catchment management within the tracts of land closest to the water storages and identifies the major goals the joint managers will try to achieve in the Special Areas.